The Hybrid-Analysis.com link for the malware payload (see below) has a pcap with some good post-infection traffic. Shown above: Traffic from the pcap, filtered in Wireshark. Shown above: Malicious script injected into .js file from compromised website. Shown above: Response from the redirect/gate pointing to a Rig EK landing page. 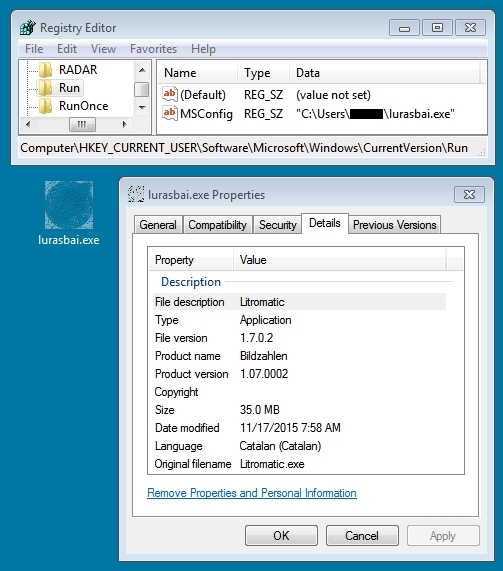 Shown above: Malware found on the infected host (a 35 MB file).